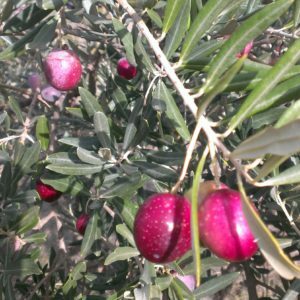 Frate Sole is a family operation producing high quality and healthy extra virgin olive oil in an environmentally sustainable way. 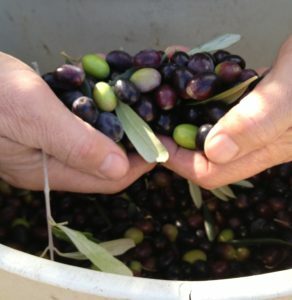 Our north star is a prosperous enterprise that yields healthy and world-class olive oil in a flourishing ecosystem that will be worked and enjoyed by our children’s children. At the 2018 California State Fair, we earned a Double Gold (99 points), Best of Class (Medium Intensity Blend), Best of California (Medium Intensity Blend), and overall Best of California Artisan Producer!! 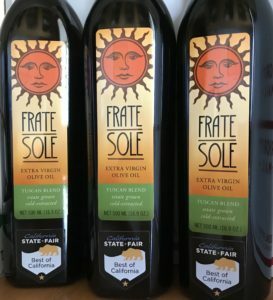 At the Yolo and Los Angeles County Fairs, Frate Sole won Gold as well. We invite you to try the Best of the Best . Stock up on Frate Sole for your healthy lifestyle resolutions. For product information and prices, Get Your Hands on Frate Sole. 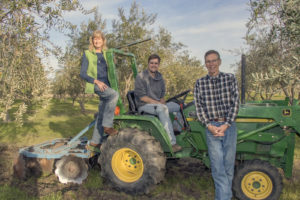 Click on this link to order mailto:andrea@fratesole.net And if you are in the neighborhood, stop by to see the farm end of the Sacramento region’s Farm-to-Fork renaissance. Free tastings and tours available by appointment. We are proud to be next door neighbors to the Valley Oak Wool Mill, another fabulous small business offering tours (fee applies). Please see the Grower’s Journal and Honors and Mentions to learn about what’s going on at the farm.